With ‘big data’ transcending one of the biggest business intelligence buzzwords of recent years to a living, breathing driver of sustainable success in a competitive digital age, it might be time to jump on the statistical bandwagon, so to speak. Whether covering data science, big data, online data visualization, or data analytics, publications centered on BI and dashboard design are piling up in bookstores around the globe. In this day and age, to remain successful, competitive, and cutting-edge, keeping up with the latest BI trends is essential. But with so many business analytics books out there and so little time, how do you decide which ones are worth your time? Never fear – here at datapine, we’re always on the pulse with everything data or BI-related, which means that we’ve conducted a colossal amount of research and worked our way through a host of business intelligence books to hand-pick the best ones in the biz. Exclusive Bonus Content: These BI books will shape your future! Download our pocket-sized summary right here and become a guru in BI! That said, we’ve selected 12 of the world’s best business intelligence books – invaluable resources that have not only earned a great deal of critical-acclaim, but are what we consider to be wonderfully presented, incredibly informational and decidedly digestible. 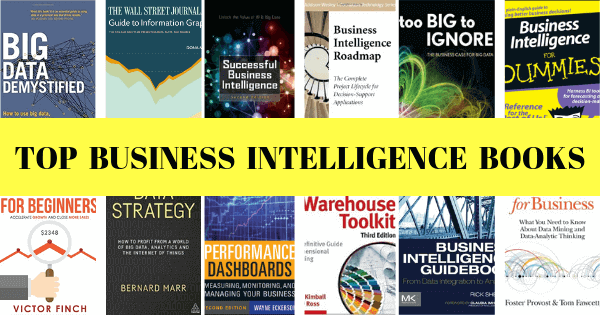 Our top 12 best books on business intelligence explore a wide range of subjects that extend far beyond the rudiment of the field, offering a level of insight that will take your business intelligence skills and confidence to a whole new level. But before we unveil our definitive rundown of intelligence and business analytics books, let’s explore some facts, figures, and insights that will inspire you while steering your success in the exciting world of BI. Brands or organizations that use BI are five times more likely to make better, faster decisions. 85% of business leaders strongly believe that big data will significantly enhance the way that they do business. Globally, the number of smartphone users is expected to rise to 1 billion by 2020, surpassing the world’s number of basic fixed phone subscriptions. This growth brings a wealth of insight, and if you’re BI-savvy, you’ll be able to squeeze every single drop of value from the mobile data available at your fingertips. Expanding on our previous point, presently, 42% of companies plan to deploy mobile-based BI as part of their growth strategy. Now that we’ve established the undeniable importance of BI in the digital age, let’s explore the books that will help you gain the knowledge in addition to the skillset you need for success. According to this book, less than 0.5% of all data is currently analyzed and used. That’s staggering. And while many business leaders remain sceptical about the application of big data in their business activities, if any book can change their minds, it’s this one. Drilling down deep into how to create a sustainable BI strategy while collecting and analyzing big data in the most proficient way possible, this really is one of the quintessential business intelligence and analytics books of the modern age. 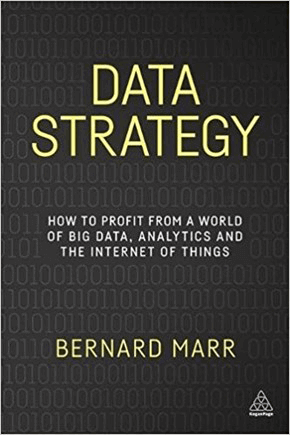 What’s more, in addition to gaining a wealth of fresh BI-based knowledge, this book, written by Bernard Marr, will also offer you priceless information on the Internet of Things and its role in the future of business analytics. Big data encompasses a significant portion of the BI pie, and this 2018 offering from David Stephenson PhD is a results-driven manual that boasts equal measures of intrigue, inspiration, and practical insights tailored to today’s information-rich age – one of the finest business analytics books of the moment. Not only will you learn how to handle big data and use it to enhance your everyday operations, but you’ll also gain access to a host of case studies that will put all of the tips, methods, and ideas into real-world perspective. 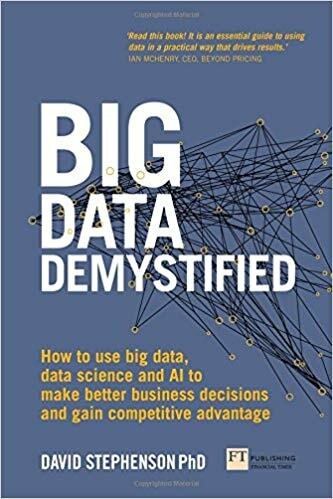 Moreover, unlike many of the business analytics books in our lineup, ‘Big Data Demystified’ also delves into emerging technologies, including artificial intelligence (AL) and machine learning (ML) applications. This is one of the world’s best books for building a BI system by leveraging the power of big data – don’t miss out. Do you spend a great deal of time using spreadsheets, or wondering which graph displays data in top-to-bottom fashion? Then this, most excellent of BI books, is the one for you. Clear, concise, and easy to read, this most brilliant of books on business analytics will teach you the fundamentals of how to create professional graphics that showcase invaluable data-driven insights. Simply put, it’s great, particularly if you’re an online marketer or someone who handles large datasets for marketing reports on a regular basis. The book shares what really matters when creating charts rather than focusing on making them flashy – drilling down into how to make your visualizations clear, effective, and meaningful. 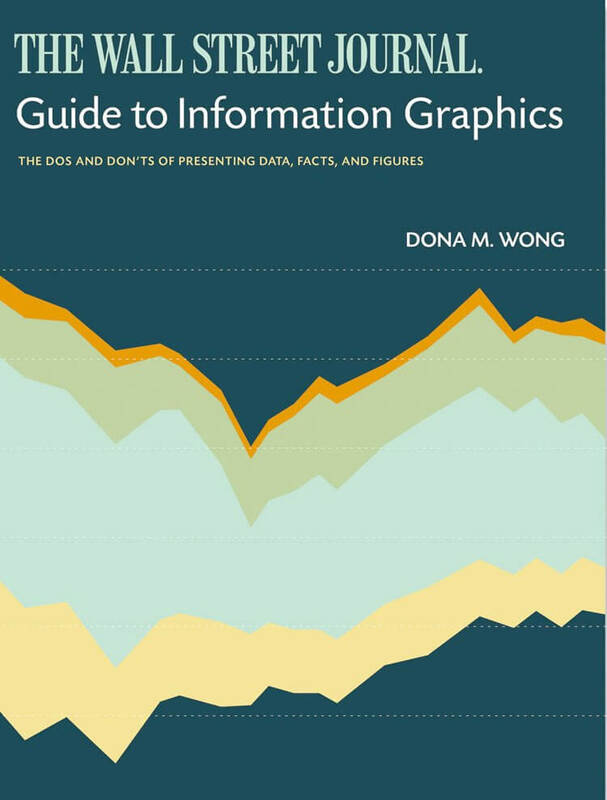 Author Dona Wong shows us that there are best colors and fonts to choose for certain types of data while offering a wide range of subtle yet useful examples of how to display data. For instance, one example from the book demonstrates how to display the biggest section your pie chart at the 12 o’clock mark. Certain readers might find some of information too basic; nonetheless, Wong delivers a mix of priceless rudimentary insights as well as the golden rules you should follow every time you prepare a chart. The more data sources you have access to, the better. A business that relies on one gauge is no match for one with an array of intelligent, data analytics tools. With an arsenal of interactive online dashboards on your side, you’ll be able to gather and visualize up-to-date metrics effectively. Consequently, you will be able to base your business decisions on real-time data rather than your gut feeling – which is priceless in today’s world. One of the most intelligently crafted BI books on our list. While this book focuses largely on BI knowledge aimed at complete beginners, its refreshing approach to the subject offers fragments on invaluable information for those at all levels. Offering a sound introduction to BI fundamentals, the insights contained within this brilliant resource not only drills into the importance of embracing digital data for sustainable commercial success; it offers a well-balanced mix of tips and ideas to help you maximize your ROI through all of your BI activities and initiatives. 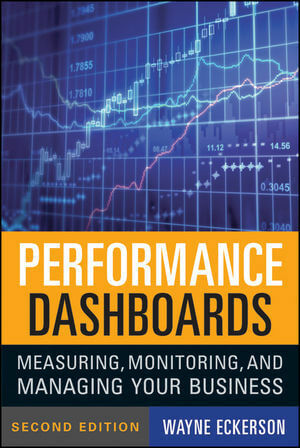 One of the perfect BI books to help you forge a data-driven business culture, this offering from Wayne Eckerson summarizes everything related to business dashboards. Wayne offers an overview of how to install and maintain the effectiveness of a real-world business dashboard. This book will prove particularly useful to technical operatives or business managers who oversee their team’s performance. It’s for data-driven people, and as such, by reading this, you will allow Eckerson to help you refine your communication strategy. He understands the technical and social impact of launching BI software across a company. If you’re a datapine user, you’re likely happy to avoid these pains. Wayne goes as far as to dodge office politics around self service BI tools and focus on the useful knowledge. Many aspects of his book go beyond the scope of what datapine provides. It does a great job at pointing the business habits necessary to maintaining an effective dashboard culture in your company. It’ll help your dashboards with the operational, tactical, and strategic vision of your business. One of the best books on business analytics you’ll ever read. This comprehensive business analytics book introduces the fundamental principles of data science and walks you through the analytical process necessary for extracting useful knowledge and business value from the data you collect. It’s laden with practical examples, so dust off your high-school math skills and prepare to follow a steady stream of data-analytical thinking. This position includes success stories of model use of data science by leading companies and illustrates how data science solutions helped them deal with big business challenges. 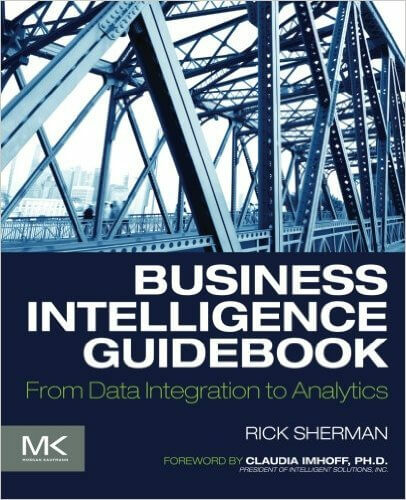 With a wide spectrum of subjects covered, ranging from predictive modelling, identifying informative attributes, and segmenting data by progressive attribute selection to estimating costs and benefits and calculating expected profit – this best-selling book on business intelligence will take you on a real data science journey. 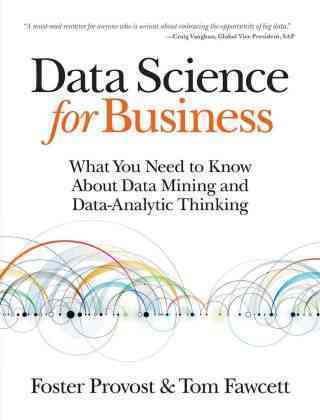 Don’t be deceived by the advanced data mining topics covered in the book – we guarantee that ‘Data Science For Business’ will teach you a host of practical skills. You’ll not only learn how to improve communication between business stakeholders and data scientists, but you’ll gain a deeper understanding of how to participate intelligently in your company’s data science projects. Moreover, you will gain a clear-cut insight into how data science fits in with your organization and how you can use it for competitive advantage. The book will also show you how to approach business problems data-analytically, using the data-mining process to gather good data in the most appropriate way, opening your eyes to multiple data science applications, for example in recruitment process. 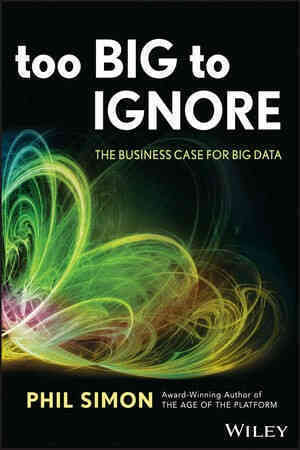 One of the books based on big data, ‘Too Big to Ignore’ offers a brilliant introduction to the topic of big data. That said, rather than outlining analytic methods, this business intelligence book explains how big data works in a way that is clear, accessible, and completely practical. Here, you will learn why big data is a such big deal and why it is necessary for organizations to learn how to leverage big data as part of their daily operations. Phil Simon interlards jargon-free, expert advice complete with big data examples in real-life case studies, and analyzes the thoughts of word-leading big data practitioners while placing the big trend into a practical real-world context that will help accelerate your learning. Covering historical facts, related technologies, data-driven culture, and consumer behavior, this really is one of the best business analytics books for beginners, proving that big data is not a fad but rather an emerging reality that is only going to grow and evolve in the coming years. It’s high time for more businesses to start appreciating the added value that comes with big data analytics – and this book will help inspire your own BI-based efforts. A book to behold. 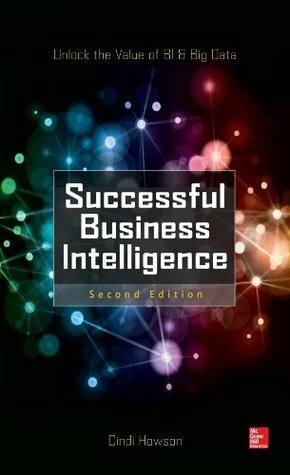 A best selling book on business intelligence, this book delivers exactly what it promises: providing a rock-solid reference for those new to the field and looking for priceless practical knowledge. 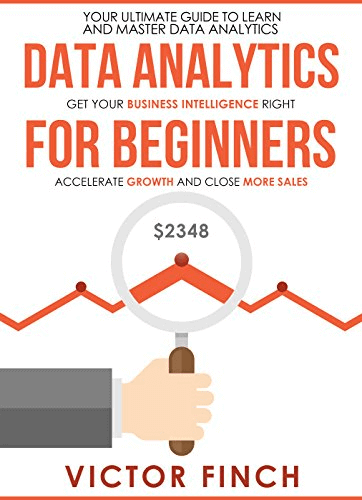 Taking a step-by-step approach to learning, this worthy best selling book on business intelligence, will help you choose the right technology to suit your BI-based goals aims and desires. Moreover, here you will also learn essential skills such as understanding the fundamental principles, designing, developing your BI plan, creating a successful roadmaps and more. 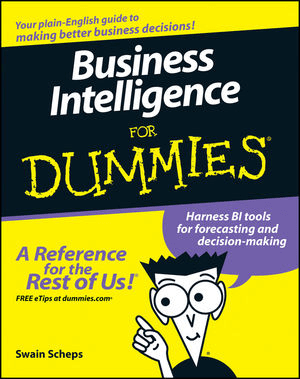 No confusion, no jargon, just sound advice from one of the world’s best books on business intelligence. The originality of this most informational of business intelligence books lies in the survey designed by its author, Cindi Howson, a Research Vice President at Gartner and an experienced BI analyst, who revealed the analytical strategies used by the biggest players in the industry. It’s not a theoretical piece, but rather a story based on BI strategies that really work. 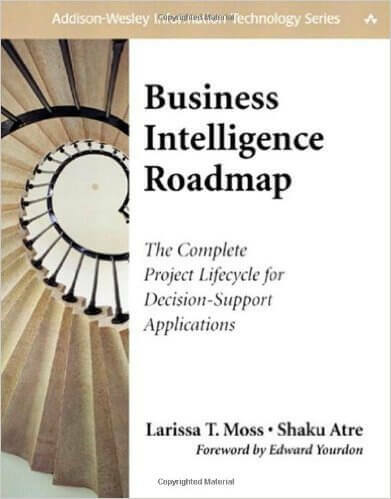 This invaluable BI book showcases a multitude of successful approaches to business intelligence, as each organization requires a different BI implementation, and there is not a single, one-size-fits-all strategy. However, the successful implementations profiled in the book share some fundamental principles that each agile BI solution should follow. There are certain tools mentioned in the case studies by name that serve as an example of best principles rather than offering prescription, and the rest remains in the hands of a BI practitioner. But don’t worry – Cindi Howson will help you out with a mix of proven methods that you can apply to your every-day data-based activities. Providing advice on how to foster an analytical culture in your organization so that every team member will find data relevant and actionable, this is an excellent resource that describes how to align your BI strategy with your company’s business goals, improving data quality and monitoring its maturity across various factors. One of the best books on building a BI system, hands down. In comparison to the other BI books on our list, this book doesn’t explain big data to its readers or offer ideas for solving design-based problems. However, in this book, the authors provide a useful action plan that will help you evolve your business practices by harnessing the power of data. The structure of this book encourages readers to start using its insights right away (almost in real-time) and design their own BI strategy. Each chapter covers a different stage of a BI project, including practical details like project flow charts, project roles, and the risks involved in each of the steps. You may deem some of the content not as innovative as the other books in our list, but don’t forget it’s not an academic book but a typical, well-written project manual which will help you sharpen your practical skills. This book explains data warehousing and business intelligence concepts in great detail. It starts with an overview of why data is so important in the business world today and proceeds to cover all facets of a BI project. From purely technical aspects of a project, product architectures, and data modeling to tons of illustrations, this book will help you understand the intricate subjects. Other topics covered here include data integration and BI design, wrapped up by people-related issues, such as processes and project management. Author Rick Sherman has succeeded in finding the right balance between a position for experienced practitioners and a manual for data analytics beginners. He takes a comprehensive look on BI, covering the business and technical aspects of BI, the architectural underpinnings both from a high-level solutions architecture as well as low-level query design patterns perspective. Whatever are your responsibilities as a BI practitioner, there are chapters in this book relevant to your particular area of competence that provide new skills or spark new ideas. While this might not be a best-selling book on business intelligence, it is certainly one of the best and worth every minute of your time. 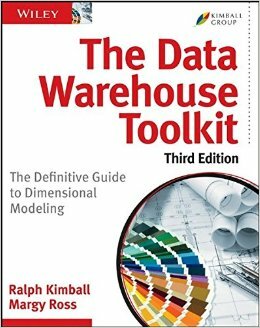 A best-selling book on business intelligence, ‘The Data Warehouse Toolkit’ starts with a short section about the theory of data warehousing and analytics, moving onto a selection of case studies showing how to apply the theory to common business scenarios. It’s also one the best books for building a BI system. There are 14 case studies included in the book that stem from numerous industries, such as electronic commerce, procurement, order management, finance analytics, or human resources. At first glance, the table of contents appears as if the industry-specific chapters apply only to certain sectors, but you’ll quickly find that these industries are used as examples to help readers better understand the underlying design principles. The book covers both technical and business aspects and is up-to-date with state-of-the-art practices and topics. The content covers dimensional modeling techniques and mistakes, bridge tables for ragged variable depth hierarchies and multivalued attributes, project management guidelines, and a comprehensive review of extract, transformation, and load (ETL service) systems and design considerations. A must-read for anyone dealing with data on a daily basis. These 12 books will form solid foundations for your business dashboard education and will certainly convince you of the benefits of data science in today’s – as well as tomorrow’s – world. Now it’s time to put this knowledge into practice and start utilizing your own dashboard design tool. We’re right behind you! Sign up for a free, 14-day trial at datapine!